Both Leia and Alisa have their own visual art interest. For Alisa, she likes to draw. 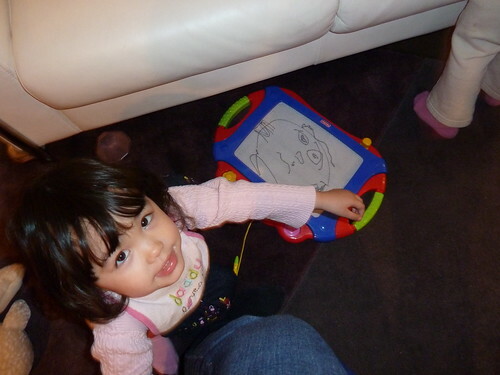 Today her medium of choice was Etch-a-Sketch. 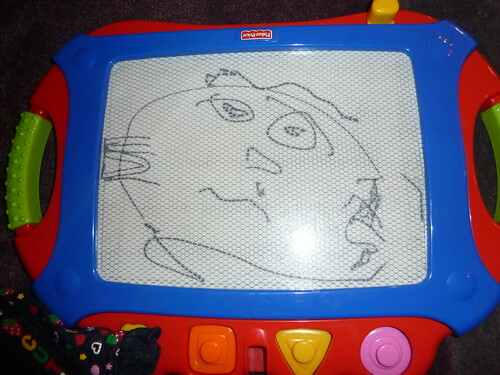 Here's a picture of her first recognizable face drawing that I've seen. For Leia, she's more interested in the camera. 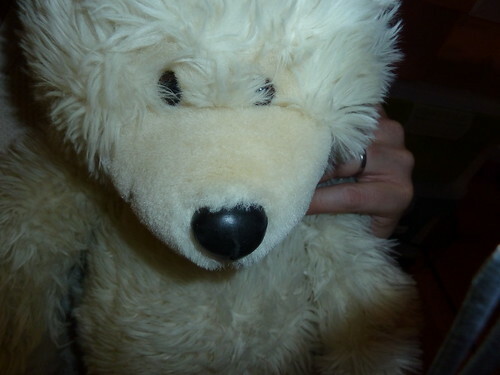 Here's a photo from her today of her favorite teddy bear, Scruffy. Good for them! San Fran kids through and through.